When Wynwood Life organizers approached Trek6 about their vision of a street festival in the Wynwood neighborhood, they never dreamed of having the same aspirations as the artist who left his mark on quite a few Wynwood walls. It was only fitting that Trek6 would be the one to help design Wynwood Life’s very first commemorative poster. 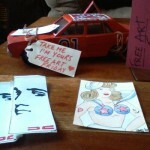 Not just any poster; a work of art! Tony Albelo, Wynwood Life’s organizer, came up with the idea of building a wall that the Puerto Rican artist could paint. But why build a wall when Wynwood had so many walls just waiting to receive an artist’s touch. This wall would become the canvas that would eventually be taken apart, brick-by-brick and given to 300 lucky recipients. The equivalent of having a numbered work of art, Trek6 was commissioned to bring those bricks to new life. Like every work of art, it’s left for the viewer’s interpretation, but it’s worth noting that Trek6 filled this landscape with symbolism that speaks directly to his dream and vision for the neighborhood. “The bonsai has become to me a symbol of concentration and life, from which the emitting speaker develops and projects color, life, beauty and the struggle to exist, as it turns and twist over the wire-torn sky of the industrial neighborhood,” said Trek6 . As Wynwood enters its new phase, Trek6 hopes that the life, color and sound that defines the neighborhood serves as its protector in order to keep the area alive. He also added that in the animation, you will see the watchful eye of big brother, the growth of nature, color and a salute to his beloved Puerto Rico by way of the taino petroglyphs. After all, Wynwood was a Puerto Rican barrio, and those were symbols that to the artist conveyed the beauty of this resilient place. South Florida Beer Week kicks off tomorrow and runs until next Saturday January 25th. So how great would it be if one of Miami’s staple brewpubs pairs up with our beloved and very new brewery? It would be FAN tastic… and a dream come true! 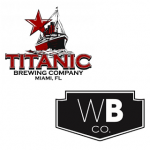 This Monday, January 20th at 7pm Titanic Brewpub and Wynwood Brewing Company have created a very special 4 course beer dinner! Call today to reserve your spot for a discounted price (305-668-1742) Cheers! For the past month Wynwood Brewing Company has been charitably donating their beer! Pop’s Porter, a roasty dark beer with hints of chocolate and coffee, perfect for this chilly weekend! But hurry, since this is charitable gesture honoring Three Kings day, you only have until Sunday, January 5th! Go Bizerq! Wynwood’s new nightclub opening soon! Cesar Morales, owner of Wood Tavern, leased the empty space on 36th street formerly known as Soho Lounge. “I want to do something fun, but also honor the history of the place,” Morales told Crossfade in October. Bizerq will keep a similar music theme to Soho Lounge: house music, underground dance, indie rock… “We are going to party like its 1985!! 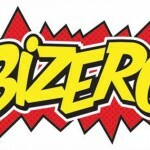 !” Morales writes on Bizerq’s facebook page.